Ash Rishi of COUCH explores the pharma digital environment and how it can be improved. Currently, the pharma industry uses research and development processes to create physical products. As medical technology continues to progress in leaps and bounds big pharma is obligated to try and keep pace with it, and is searching constantly for breakthroughs to benefit health care. When it comes to the digital sphere, however, the industry focuses on developing assets such as websites and other sales tools. We need to start applying the process of design thinking to solve problems for the patients or even for the healthcare professionals they service. The purpose behind design thinking is to “strip away” the status of the expert in development of a product. By connecting with actual users in an authentic, one-on-one engagement, pharma can develop a deeper understanding of the needs of the people for whom the solutions are being created. By taking a human-centered approach that considers the needs of all stakeholders, solutions can be more comprehensive, more user-friendly and action-oriented. In the pharma industry, that means getting closer to understanding your market than you probably ever did before. And that’s precisely why you need to do it. Once you do so, your company can benefit in many ways. The current debate about the safety and efficacy of vaccinations is a prime example of how public ignorance can impact the health care sector. In 2012 the U.K. reported the highest number of measles infections since 1994, most of which could have been prevented by vaccination. Developing educational tools such as a resource website, properly SEO’d using best search engine practices, could make up-to-date information available to users looking for answers on these types of issues. This could vastly improve the public’s understanding of the consequences facing them if they don’t educate themselves adequately. As digital communication methods become more entrenched in professional society, even healthcare practitioners are learning to use them as a formal method of interaction. One U.S. company, for example, is now using digital technology to create live links between operating rooms and physicians to collaborate on procedures. Why, then, does big pharma not apply design thinking to the digital environment to get in on the action and create a similar platform to facilitate collaborative problem-solving between pharmaceutical experts and medical providers? The outcome would almost certainly be improved sales, not only of the equipment and services required for digital interaction, but of the pharmaceutical products produced by the company. Relationships are as important in the pharma industry as any other, and in order to enjoy the benefits it’s necessary for all parties to connect, network and develop a rapport. Where are the online discussion forums for pharmaceutical professionals? Where are the digital publications catering to the pharma industry, filled with news and information about the latest research? Or are we still working in the dark ages with printed publications and face-to-face conferences and events? Applying design thinking could build the virtual world necessary for professionals across the globe to meet others, exchange ideas and discuss possibilities in a secure environment without being exposed to public scrutiny. Knowing what your clients needs are and getting feedback on performance is a critical issue for big pharma. Sure, there are double-blind studies conducted for every product created, but anecdotal feedback is just as useful, as is the “pie-in-the-sky-type wish list” information when it comes to knowing where to focus your R&D efforts. A solid digital strategy makes it possible to survey your readers and find out what they’re thinking, where their interests lie and what their needs are—and then compile the results into a usable format. Online review options and social media provide great ways to build up your user database, and you can source feedback on all sorts of issues ranging from perceived side effects to public concerns. How well does your website (and your other digital assets) really work for your business? Unless you’re in the really big leagues you probably don’t have the funds to hire focus groups and conduct usability research to check whether your blog is reaching the right target demographic and whether they can find their way around it when it does. By applying design thinking to the process you can create ways to test everything by crowd sourcing. Analysis is everything in the digital age. Without comprehensive tracking and reporting mechanisms, you have no way of knowing whether you’re achieving your objectives or not. In a case study conducted in San Diego, design thinking was applied to journalism for the purpose of increasing reader engagement. Results turned up some unexpected truths, such as the fact that the local newspaper’s coverage had been focused for years on issues that didn’t matter very much to the city’s residents. By implementing a human-centered approach that empathised with people, the researchers were able to identify a little-known fact that completely up-ended traditional practices. In an age when competition is stiff and how you handle it can make or break your business, any advantage you have over other players in the pharma industry defines your bottom line. For the past 50 years, design has been almost an after-thought of the production process. That might work for physical products, but in the digital era it needs to be the other way around. Instead of asking designers to put an aesthetic spin on your digital assets, how about letting them have first option on the innovation opportunities? Applying design thinking to the pharma digital environment could just give you the edge you’ve been looking for. One thing is for sure: any company that does so will be at the forefront of change. Ash Rishi is the Founder and CEO of COUCH. Based in London, COUCH is an integrated digital marketing and creative communications agency focusing on the pharmaceutical, healthcare and life sciences industry. Ash has over 9 years’ experience in pharma marketing and has delivered activities across UK, Europe, US, Canada and Latin America. His area of expertise include: mobile, marketing tech, branding, communications, stakeholder development and digital engagement strategies. Ash is also the founder of a digital engagement group on LinkedIn. You can reach Ash at Ash@wearecouch.com or follow him on Twitter @We_Are_Couch and @Ash_Rishi. 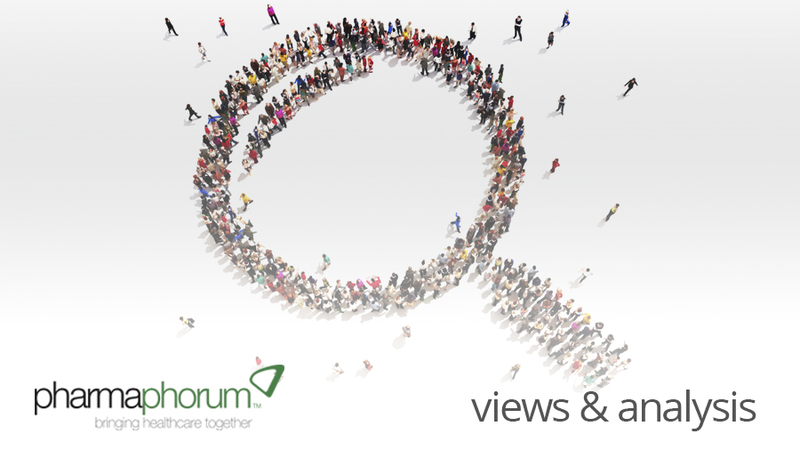 Closing thought: Where are the online discussion forums for pharmaceutical professionals?